As told you before, I get always such a strong confirmation of this infinite intelligent existence if I have done something what has to be done. And I had to write life as a miracle , because there was such a strong celebrating energy all around me! Writing this whole article was such a rejoicing of Osho! After publishing I was VERY curious how existence would react. And the reaction I got is the greatest gift I could get. At the moment when I started publishing about Osho, there was a strong copyright (see the sad story below), but I felt I had to do it. Immediately after my first publications the message came that the copyright case has been lost in America, but there was still a treat of appeal and problems for other countries. But now just after publishing life as a miracle I got this e-mail. (see below). Yes, yes, yes life is a miracle. I feel so immensely happy that all the Osho lovers can go spreading Osho message to the world and I have so much of Osho to spread!! Isn't wonderful how the law of God Action works, it transcends everything else. Osho asked me in the Sinai to make his name, his photographs, his words, his meditations as widely available as possible. And now this is happening! Here comes to original e-mail and it gives also a good picture that there is always a battle between the light and darkness (ignorance) on this planet of duality. But from the beginning of time light always wins. After the big bang on 1.000.000 particles of anti-matter 1.000.001 particles of matter were formed. Therefore this existence could come into creation. And we are here to celebrate this miracle of life! Subject: Letter from Neelam: Celebrate! Friends, Celebrate! It is indeed a moment of rejoicing: Osho’s name and his meditations are now free from the fetters of trademarks. After a ten year long battle between OIF (Osho International Foundation) Zurich led by Jayesh and OFI ( Osho Friends International) led by Swami Atul Anand, Osho Friends International has won. Congratulations and cheers to OFI for their unwavering devotion to fulfilling Osho’s wish. Osho devised many meditation techniques in late sixties and early seventies. Never in his lifetime did he express his wish to trademark the meditations, as he always felt that the meditations are a gift of the Awakened Ones and are meant to raise the consciousness of humanity. He openly proclaimed this in one of his discourses in Gautama the Buddha auditorium: “Things can be copyrighted, thoughts cannot be copyrighted, and certainly meditation cannot be copyrighted. They are not things of the marketplace. Nobody can monopolize anything. But perhaps the West cannot understand the difference between an objective commodity and an inner experience”. When asked how to protect the purity of his meditations, he gave a very simple solution: “Make my meditations as widely available as possible so that millions of people come to know them directly. That’s the only positive way; otherwise you will be wasting time and money in fighting with people”. And in their new found power and arrogance they started harassing and intimidating Osho sannyasins (who were involved with Osho’s work for years) with legal threats. 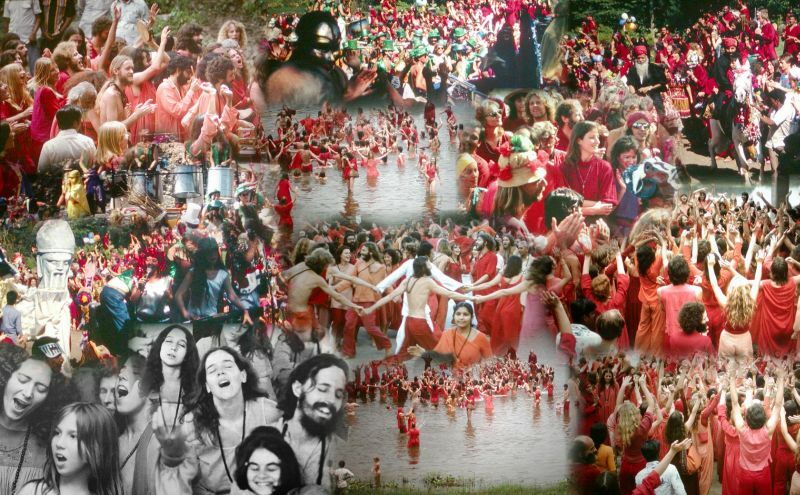 In India, they began this with sending legal notice to Delhi-based Osho World Foundation prohibiting them to use Osho’s name ( www.oshoworld.com) on the web. Moreover very inhumanly they got thousands of copies of Osho’s books in France shredded because the sannyasin publishers were unable to pay royalties to OIF. 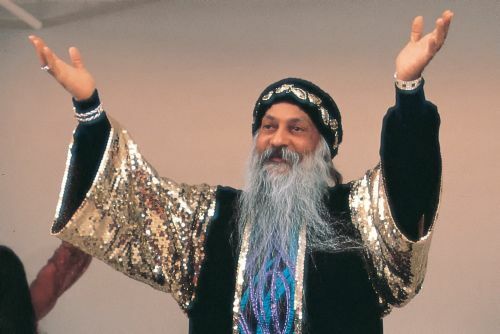 Besides this, there are several examples where devoted sannysin publishers and meditation center leaders were served legal notices forcibly discouraging them from contributing to Osho’s work and vision, thus creating anger and resentment among them. This landmark verdict came on 13th January 2009. But Jayesh and his team did not accept it. He filed a notice of appeal in the federal court on March 12, 2009 challenging the decision. Apparently he realized later on that there was nothing more to be said or added, and he had no hope of winning, he withdrew the appeal and OFI agreed to it. In mid July the federal court released the order dismissing the appeal. Now the trademarks of Osho and his meditations in the US finally stand as cancelled. The sannyasins and lovers of Osho would find the decision as an end of a bitter episode. I do wish to reinforce the fact that now Jayesh should take constructive steps to get all the Osho trademarks cancelled in other countries wherever he has applied. I am sure thousands of Osho lovers would welcome this momentous decision and be delighted to seeing Osho and his meditations now freely available all over the world. It is equally important to recognize that this would save enormous amount of energy, time and money that he has been wasting all along. The same can be used in doing such things as organizing more and more meditation events around the world, publishing more books, specially the unpublished ones which are not available in the market; making Osho’s name, his photographs, his words, his meditations as widely available as possible. That will be the positive way, the Osho way, of protecting the purity of Osho and his vision. Ma Yoga Neelam (Personal secretary to Osho for India, She was appointed by Osho as one of the member of the Inner Circle, she also was his caretaker when Osho returned from USA and later after his coming back to India from the world tour). I feel such a strong wave of creativity going over this planet. Perhaps it has something to do with the longest solar eclipse of this century yesterday, which always has been a sign of great things to happen. And by means of the Osho essentials of this website Yahoo declared Osho to be the One. And I hadn’t even written that. Isn’t amazing! Osho did the Yahoo meditation in Poona II, long before Yahoo existed, must have foreseen this (smile!). So let us celebrate even more!